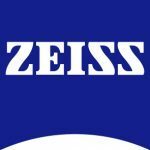 From measurement in tough conditions with Corona extreme to reliability in complex production facilities with Corona process, ZEISS focuses on providing you with spectroscopy that is exactly tailored to your industry. The newest addition to our range is AURA® handheld NIR, which brings NIR technology into the palm of your hand. Especially when it comes to maximizing the quality of your products, control is key. You need to know what kind of quality you are working with and you need to ensure that your raw materials are being used as efficiently as possible. That’s where ZEISS Spectroscopy comes in. NIR technology covers every step in the food manufacturing process, allowing you to collect data in real time and perform measurements to optimize your entire process. This means higher quality and output with lower waste and scrap.